● Press the AUTO button to activate the climate control system. ● Press the ON/OFF button to turn the system on or off. ● Press the button to defrost the windshield. 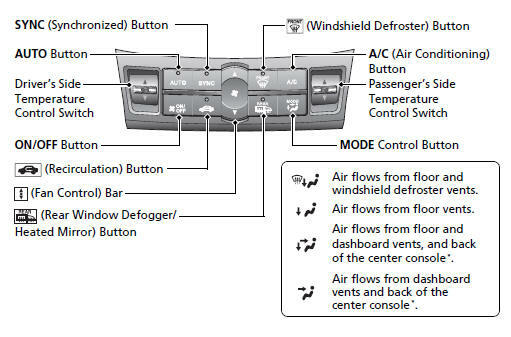 The climate control system is voice operable. See the navigation system manual for complete details.